Whether she loves playing classical music, jazz, pop, or chopsticks, your CHARM IT! 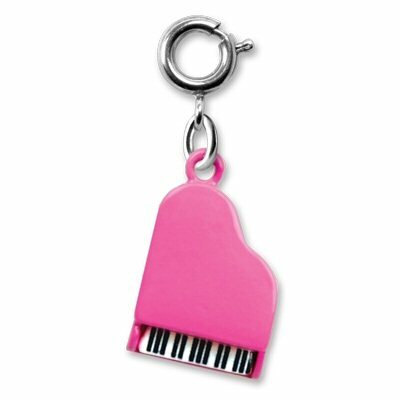 girl will love showing her "tickle the ivories" spirit with this cool Pink Piano charm. Featuring black and white keys on a beautiful pink enamel baby grand that opens to reveal the music within, this 3-dimensional CHARM IT! 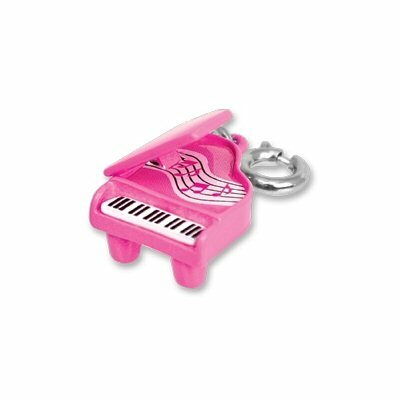 Pink Piano charm is sure to delight the super star in your life. With a simple snap of a clasp, girls can personalize their CHARM IT! jewelry with this awesome baby grand piano charm.